I don't know if you know this secret but search engines are one of the best and quality places to get real traffic to our blog. but some bloggers didn't have awareness of it.. only google receives over 1trillion search per month.. imagine if we also calculate bing,yahoo and baidu how it can be.. so today am going to reveal my hacks to rank high in google..
Seo is shorten from and here i will write basic steps to optimize your page to have ability to hustle for 1st rank.. Titles are a required part of all html & xml documents that display on browser tabs and search engines as well as on social medias. Make sure to make your title that is't greater than 70 characters. according to my experience do the bottom things to create strong title tag.. 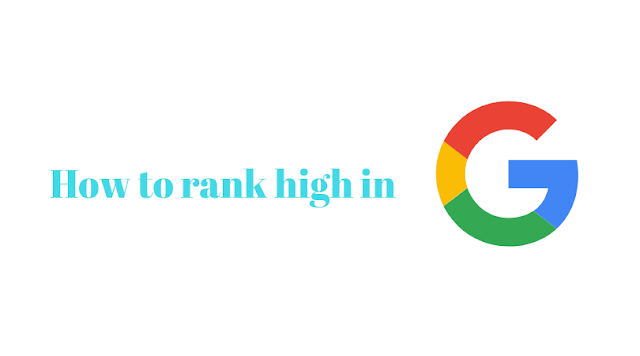 The more specific your contents are the more chances you get to rank. what i mean is after doing keyword research make sure to put that keyword on your article,permalink,title and description tag..
Optimized images helps us to rank better and get more traffic. as millions of peoples come to look images on google. so to get high rank in image SER use alt tag with descriptive word s and rename your image file name also use formal file types like png,jpg and e.t.c.. and to optimize our web-page source your css & js codes from outside and eliminate unnecessary codes from your page. The above things called on-page optimization and this part called off page optimization. and this is the important part to work on.. in Ranking the more shares you got the more chance of getting rank high in google.. to get those links you can use forums.. blog commenting but be careful to not spammed, share on social media and finally exchange links.. but don't over do it. if you google may not index your site due to black hat activity!